If you like vegetarian breakfast hash, try this super hearty and meaty version with tempeh. These hash browns with tempeh are a very filling breakfast with some healthy carbs and lots of nutritious vegetarian and vegan protein from the tempeh. Cover the potatoes with water in a large pot and bring the water to a boil. Allow to cook for 10 to 15 minutes, or until tender. Drain well. 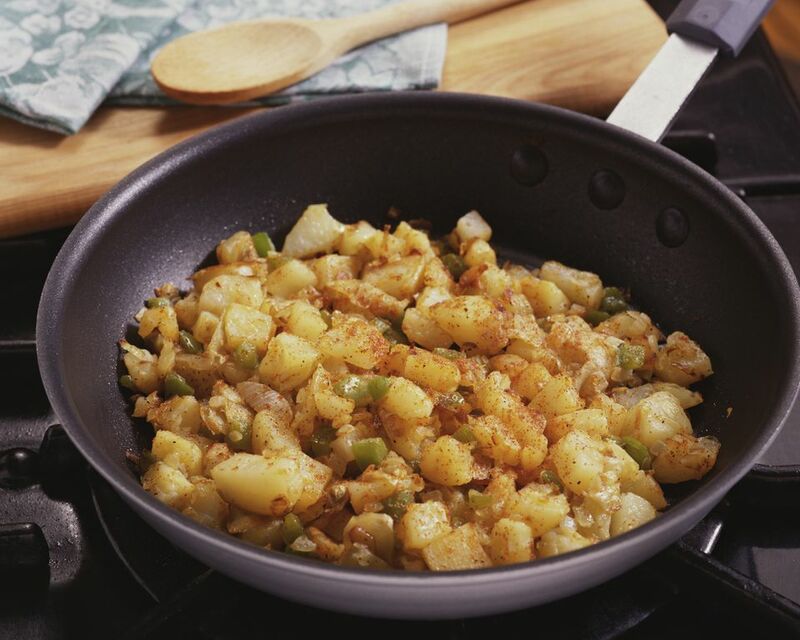 Heat the olive oil in a large skillet, and sauté the onions and potatoes together until onions are translucent. Add in the tempeh, stirring frequently, and cook for 2-3 minutes. Add the soy sauce and garlic powder, and cook for 2-3 minutes until soy sauce has been absorbed, tossing to coat the tempeh and potatoes.